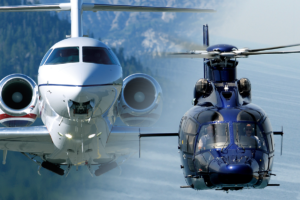 The International Standard for Business Aircraft Handling (IS-BAH) is a set of global industry best practices for business aviation ground handlers, which features at its core a safety management system (SMS). The IS-BAH follows the structure of the International Standard for Business Aircraft Operations (IS-BAO) Program and incorporates the NATA Safety 1st Ground Audit Program. IS-BAH is the global industry standard for handlers and operators around the world to meet the coming SMS requirements from the International Civil Aviation Organization (ICAO). IS-BAH™ offers Ground Handling Service Providers (GHSPs), including Fixed Based Operators (FBO) and Business Aircraft Handling Agents (BAHA), a scalable, industry-developed code of best practice centred around Safety Management System (SMS) principles adopted by ICAO and other operations-critical industries. Conforming to these standards and recommended practices is voluntary and may be self-administered. Those GHSPs seeking independent recognition of conformity to the IS-BAH can do so via a third party auditing process providing an effective way to take your organization beyond compliance and demonstrate to the regulator, your customers and other stakeholders, that your risks are under control. Promoting highly professional operational practices will build on the excellent safety record already established by business aviation.